Daimler AG has announced an electric drive SLS AMG supercar before the official unveiling of the gasoline propulsion model. 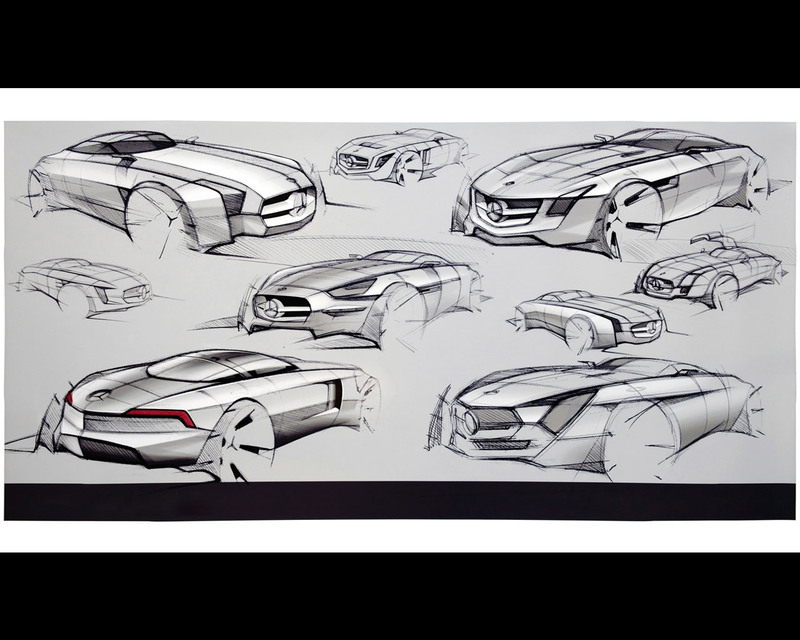 This project sees Mercedes-Benz and AMG displaying their expertise in the development of alternative drive solutions for high performance super sports cars. While the gasoline propulsion model is scheduled for introduction in late 2009, there are no official date for the introduction of this electric drive alternative. The Mercedes Benz SLS AMG with electric drive transforms the vision of powerful and locally emission-free super sports cars into reality thanks to an innovative drive system: powerful forwards thrust is provided by four electric motors with a combined peak output of 392 kW and a maximum torque of 880 Nm. 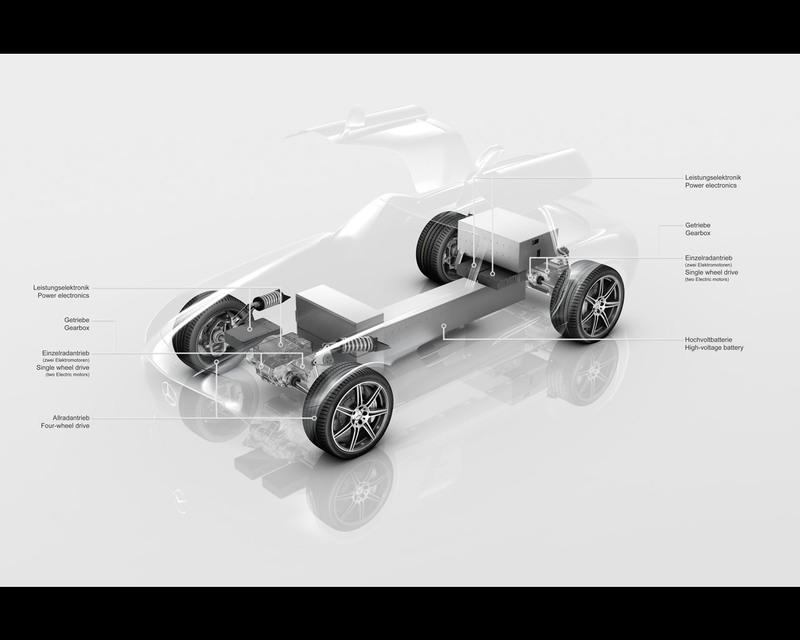 The four electric motors are positioned near the wheels, substantially reducing the unsprung masses compared to wheel-hub motors. One transmission per axle transmits the power. This intelligent all-wheel-drive system allows dynamically optimised power transmission without any losses by means of Torque Vectoring - in other words the specifically targeted acceleration of individual wheels. In its first pilot phase, the SLS AMG with electric drive incorporates a liquid-cooled high-voltage lithium-ion battery of modular design with an energy content of 48 kWh and a capacity of 40 Ah. The 400 volt battery is charged by means of targeted recuperation during braking whilst the car is being driven. When it comes to dynamics, the electrically driven SLS AMG delivers an unequivocal statement: the swing-door model accelerates from zero to 100 kph in around 4 seconds - putting it on the same high level as the SLA AMG with a 6,3 litre V8 engine developing 420 kW/ 571 hp. " 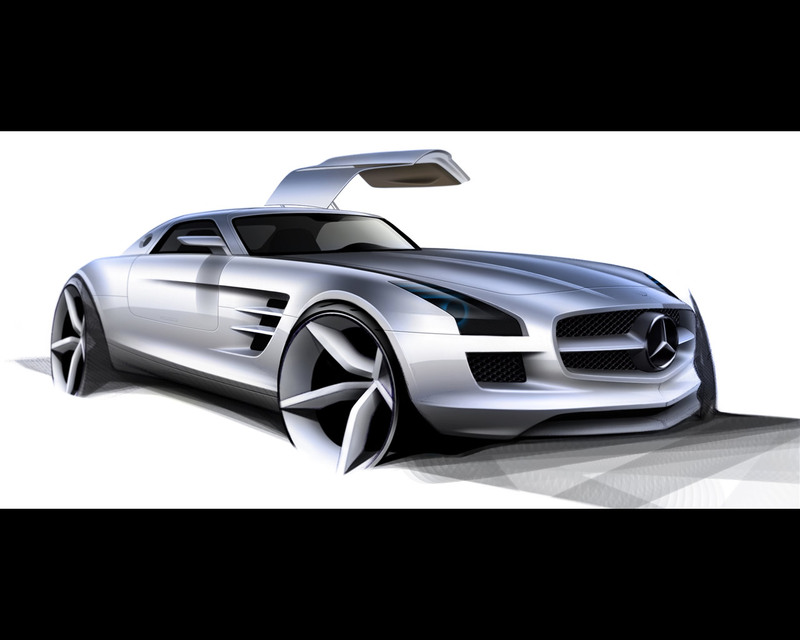 With the SLS AMG with electric drive, we wanted to redefine the super sports car. For us, it is not just about responsibility. 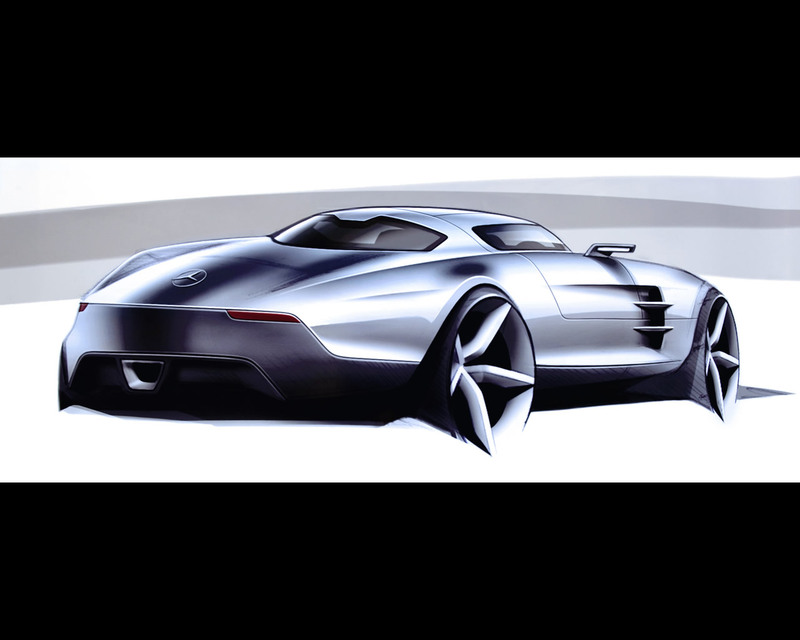 We attach just as much importance to excitement and classic AMG performance," says Volker Mornhinweg, Chief Executive Officer of Mercedes AMG Gmbh. 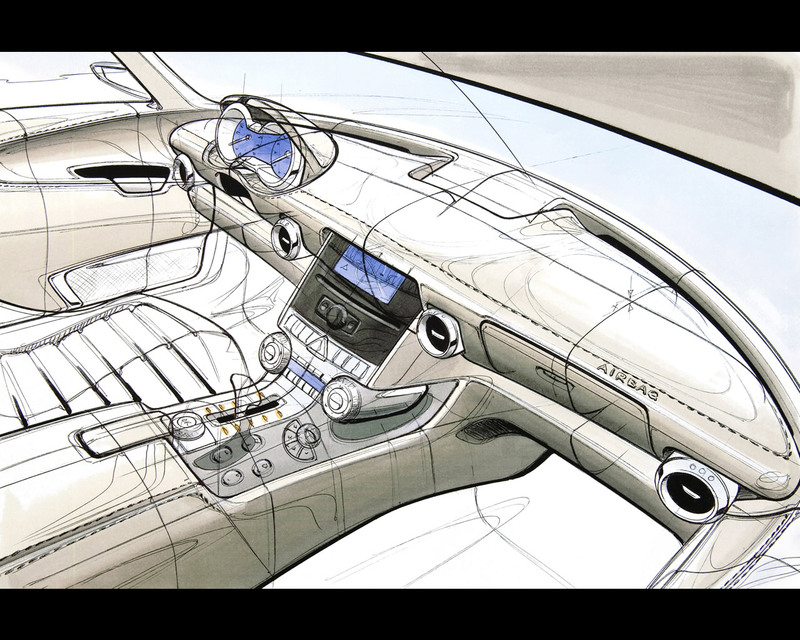 The purely electric drive system was factored into the equation as early as the concept phase when the new swing-door model was being developed by Mercedes Benz and AMG. 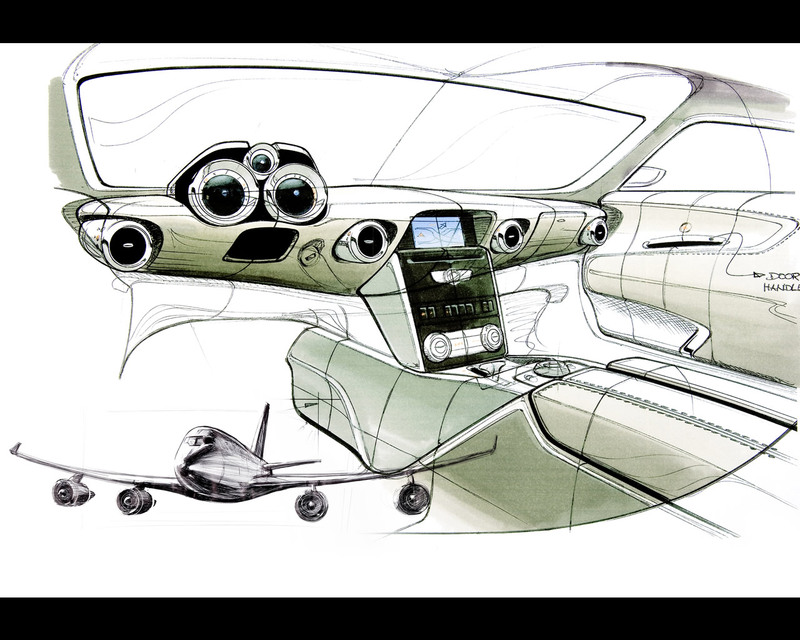 It is ideally packaged for the integration of the high performance, zero emission technology: by way of example, the four electric motors and the two transmissions can be positioned near the wheels and very low down in the vehicle. The same applies to the modular high-current battery, whose modules are located in front of the firewall, in the centre tunnel and behind the seats. Advantages of this solution include the vehicle's low centre of gravity and the balanced weight distribution - ideal conditions for optimum handling, which the electrically powered SLS AMG shares with its gasoline driven sister model. The installation of the drive components required no changes whatsoever to the swing door model's aluminium spaceframe body. Deutsche Accumotive Gmbh & Co KG, a joint venture between Daimler AG and Evonik Industries AG will provide the battery technology. There is no information available at this stage concerning the driving range or the charging time.